Sauber's new recruit Pedro De la Rosa has spent more than a decade involved in Formula One. 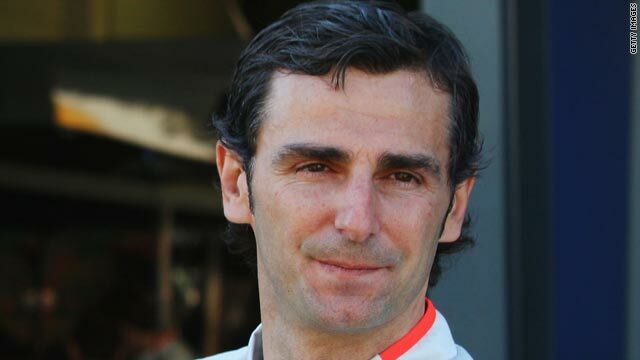 (CNN) -- Veteran Spanish driver Pedro de la Rosa will return to a race seat in Formula One this year after winning a contract with Sauber. The 38-year-old has been with McLaren as a test and reserve driver since 2003, and last started a race at the 2006 Brazilian Grand Prix. De la Rosa, who made his F1 debut in 1999 for Arrows and has competed in 71 Grands Prix without a victory, will be the Swiss team's second driver alongside 23-year-old Kamui Kobayashi of Japan. His best finish in nine outings for McLaren was runner-up in Hungary in 2006. "I always firmly believed I would be given another chance as a team driver. Since the number of test drives were radically reduced, this was what I was working towards," he told Sauber's official Web site. "I'm really excited about the season with Peter Sauber's team, which has been a solid fixture in Formula One ever since 1993." Sauber, who regained control of the outfit when BMW decided to pull out of motorsport's elite class at the end of 2009, is confident that De la Rosa can make a big impact. "Pedro has spent many years working for a top team at the highest technical level," the team principal said. "We as a team stand to gain from his experience, and the same goes for young Kamui. "The combination of a seasoned racer and an up-and-coming young driver has repeatedly proved a very fruitful one. I don't expect either of them to disappoint in 2010. Of course it is also crucial that we provide them with a decent car. "I feel positive about our in-house progress on that front too. We were able to continue work on our 2010 car as scheduled throughout the recent period of uncertainty." BMW Sauber finished sixth in the teams' standings last year, with Robert Kubica and Nick Heidfeld in the race seats. Poland's Kubica has since joined Renault, while German Heidfeld is looking for a new team. Meanwhile, McLaren team boss Martin Whitmarsh has been elected chairman of the Formula One Teams Association (FOTA) for 2010. He replaces Ferrari chairman Luca Cordero di Montezemolo, whose team boss Stefano Domenicali has been appointed vice-chairman. FOTA represents the 13 teams who will take part in F1 this season.